Two versions available! Navy Version (daddy wears Navy uniform) and All Military Version (daddy wears generic BDUs). March 2012: Lily Hates Goodbyes was named among the best in family-friendly media, products and services by the Mom's Choice Awards®! Lily is a young military child. Sometimes she has to say goodbye to her Daddy for about a billion days. She feels a swirl of unhappy emotions that can be scary. And she aches to feel connected to her Daddy while he's on deployment. 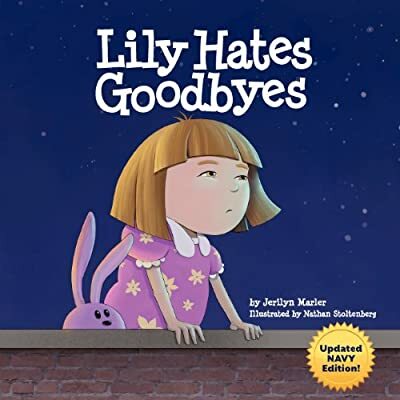 Join Lily as she learns how to cope with her emotions and to be happy in her daily life while she looks forward to joyfully saying hello when Daddy gets home. This 32-page, full-color storybook will be a welcome companion to your military kid. 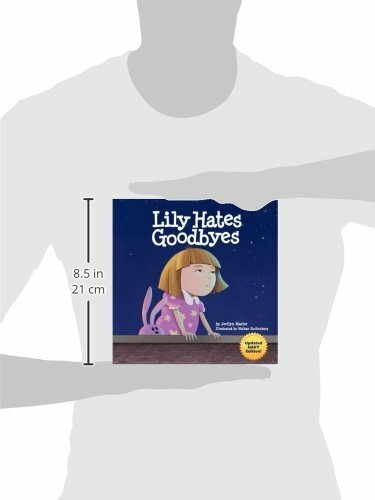 Young readers are comforted by Lily's experience and reassured to see Lily's happy reunion with her Daddy. One mom wrote that her daughter carries the book with her everywhere because she never knows when she's going to feel sad about her Daddy being away. Another mom said that Lily is such a big part of her children's lives that they talk about having "Lily moments." 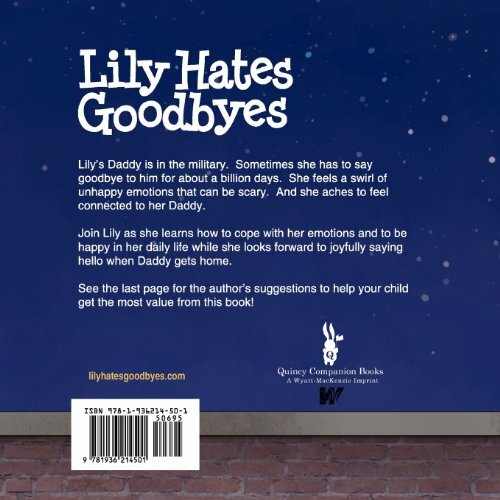 Lily can help your military children, too. Melissa, mom to a two year old, wrote, "I can't tell you how much my daughter loves Lily Hates Goodbyes! We were already doing the sticker calendar but as soon as she heard Memories for Daddy box...well, we now have one! The difference you are making in our lives and others in the same situation is just not measurable. I truly believe that your book is going to help us survive this deployment."